the real names of the sender. Subject: FBI OFFICIAL NOTIFICATION . This is official advice from the FBI Foreign Remittance Telegraphic Dept, It Has Come To Our Notice That The C.B.N Bank Nigeria District Has Released 10,500,000.00 U.S Dollars Into Bank Of America In Your Name As The Beneficiary, By Inheritance Means. The C.B.N Ban k Nigeria Knowing Fully Well That They Do Not Have Enough Facilities To Effect This Payment From The United Kingdom To Your Account, Used What We Know As A Secret Diplomatic Transit Payment S.T.D.P To Pay This Fund Through Wire Transfer, They Used This Means To Complete The Payment. These letter serves as notification of the present transaction confirmed in your name, on our research and investigations as a mode of operation with the FBI Banking Commission, we investigated a fresh transfer what of million dollars as mentioned above in your name. The funds are undergoing proper verifications to proof the legitimacy of the transaction, you are to provide all the legal documents to back up the transaction and clear all requirements on your behalf. They Are Still, Waiting For Confirmation From You On The Already Transferred Funds Which Was Made In Direct Transfer So That They Can Do Final Crediting To Your Account. Secret Diplomatic Payments Are Not Made Unless The Funds Are Related To Terrorist Activities Why Must Your Payment Be Made In Secret Transfer, If Your Transaction Is Legitimate, If You Are Not A Terrorist, Then Why Did You Not Receive The Money Directly Into Your Account, This Is A Pure Coded ,Means Of Payment? Records Which We Have Had With This Method Of Payment In The Past Has Always Been Related To Terrorist Acts, We Do Not Want You To Get Into Trouble As Soon As These Funds Reflect In Your Account In The U.S.A, So It Is Our Duty As A Word Wide Commission To Correct This Little Problem Before This Fund Will Be Credited Into Your Personal Account. The funds are presently on hold for further proof of the legal documents before releasing directly to you. Due To The Increased Difficulty And Unnecessary Scrutiny By The American Authorities When Funds Come From Outside Of America, precisely Africa, The FBI Bank Commission For Europe Has Stopped The Transfer On Its Way To Deliver Payment Of $10,500,000.00 To Debit Your Reserve Account And Pay You Through A Secured Diplomatic Transit Account (S.D.T.A). We Govern And Oversees Funds Transfer For The World Bank And The Rest Of The World. We Advice You Contact Us Immediately, As The Funds Have Been Stopped And Are Being Held In Our Custody ,Until You Can Be Able To Provide Us With A Diplomatic Immunity Seal Of Transfer(Dist) Within 3 Days From The World Local Bank That Authorize The Transfer From Where The Funds Was Transferred From To Certify That The Funds That You Are About To Receive Fro m Nigeria Are Antiterrorist/Drug Free Or We Shall Have Cause To Cross And Impound The Payment, We Shall Release The Funds Immediately We Receive This Legal Documents . We have decided to contact you directly to acquire the proper verifications and proof from you to show that you are the rightful person to receive this fund, because of the amount involve, we want to make sure is a clean and legal money you are about to receive. Be informed that the fund are now in United State in your name , but right now we have ask the bank not to release the fund to anybody that comes to them , unless we ask them to do so, because we have to carry out our investigations first before releasing the fund to you. Note that the fund is in the BANK OF AMERICA right now, but we have ask them not to credit the fund to you yet, because we need a solid proof and verifications from you before releasing the funds. So to this regards you are to re-assure and proof to us that what you are about to receive is a clean money by sending to us FBI Identification Record and also Diplomatic Immunity Seal Of Transfer(DIST) to satisfy to us that the money your about to receive is legitimate and real money. You are to forward the documents to us immediately if you have it in your possession, if you don’t have it let us know so that we will direct and inform you where to obtain the document and send to us so that we will ask the bank holding the funds the Bank Of America to go ahead Crediting your account immediately. This Documents are to be issued to you from the World Local Bank that Authorized the transfer, so get back to us immediately if you don’t have the document so that we will inform you the particular place to obtain the document in United Kingdom U.K, because we have come to realize that the fund was Authorized by H.S.B.C Bank in London. VALID UNTIL 25TH OF MAY 2009 AFTER WE SHALL TAKE ACTIONS ON CANCELING THE PAYMENT AND THEN CHARGE YOU FOR ILLEGALLY MOVING FUNDS OUT OF NIGERIA . 62-Upon Confirmation From The World Bank/United Nations. The FBI today is providing a warning to the public against an ongoing scheme involving jury service and internet/phones fraud. The public needs to be aware that individuals identifying themselves as U.S. court employees have been telephonically contacting citizens and advising them that they have been selected for jury duty. 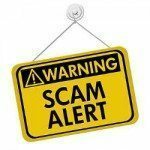 These individuals ask to verify names and Social Security numbers then ask for credit card numbers. If the request is refused, citizens are then threatened with fines illegally. The judicial system does not contact people telephonically and ask for personal information such as your Social Security number, date of birth or credit card numbers. If you receive one of these phone calls,20do not provide any personal or confidential information to these individuals. This is an attempt to steal or to use your identity by obtaining your name, Social Security number and potentially to apply for credit or credit cards or other loans in your name. It is an attempt to defraud you. Crime and fraud is real, so be careful. Working closely with our partners in intelligence, law enforcement, military, and diplomatic circles, the FBI’s primary responsibility is to neutralize terrorist cells and operatives here in the United States and help dismantle terrorist networks/money laundry and internet fraud worldwide. Although protecting the United States from terrorist attacks and money laundry is our first priority, we remain committed to the defense of America against foreign intelligence threats as well as the enforcement of federal criminal laws, all while respecting and defending the Constitution. If you’ve ever watched one of those crime dramas on TV and heard the term “NCIC” mentioned in passing and wondered what it was, you’re probably not alone. NCIC, which stands for National Crime Information Center, is one of the unsung heroes of crime-fighting4little known to the public, but used every day by law enforcement officers nationwide and even across the border to take terrorists and criminals off the street, find missing persons and property, and save lives. We’re very proud of NCIC’s legacy, but what’s most important to us is what it can do today, We’re constantly trying to make it better and faster.” And we have, with a major technical upgrade in 1999 and important additions of terrorism and gang information in recent years.